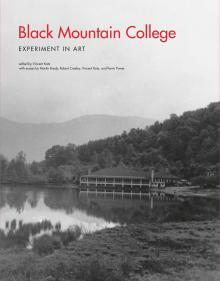 On Sunday, April 20 at 7 p.m. Counterpath hosted poet and editor Vincent Katz for a talk on his recent volume on Black Mountain College, Black Mountain College: Experiment in Art (MIT Press). Vincent Katz is a poet, translator, critic, editor, and curator. He is the author of eleven books of poetry, two books of translation, and his criticism has been published in numerous books, catalogues, and journals. He is the author of The Complete Elegies Of Sextus Propertius (Princeton, 2004) and Alcuni Telefonini (Granary Books, 2008), a collaboration with painter Francesco Clemente. He is the publisher of the poetry and arts journal VANITAS and of Libellum books. He curates the Readings In Contemporary Poetry series at Dia Chelsea in New York. He lives in New York City and teaches in the MFA Program in Art Criticism and Writing at the School of Visual Arts.